Often times, it is not a high priority for seed companies to engage with or consider the unique needs and preferences of organic farmers and their customers during the plant breeding process. To ensure success, organic farmers need varieties bred under organic conditions in order to select for traits including weed competitiveness, disease resistance, organic nutrient management and stress tolerance. Organic customers demand superior flavor and culinary attributes and have an appreciation for uniqueness, quality and novelty. 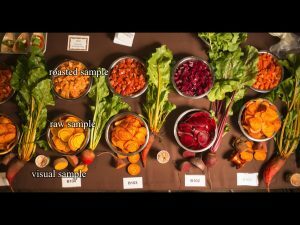 Incorporating chefs, farmers, produce buyers and other stakeholders into the plant breeding process gives breeders deeper insight into preferred traits. It also promotes awareness and understanding of organic plant breeding to a broader audience. 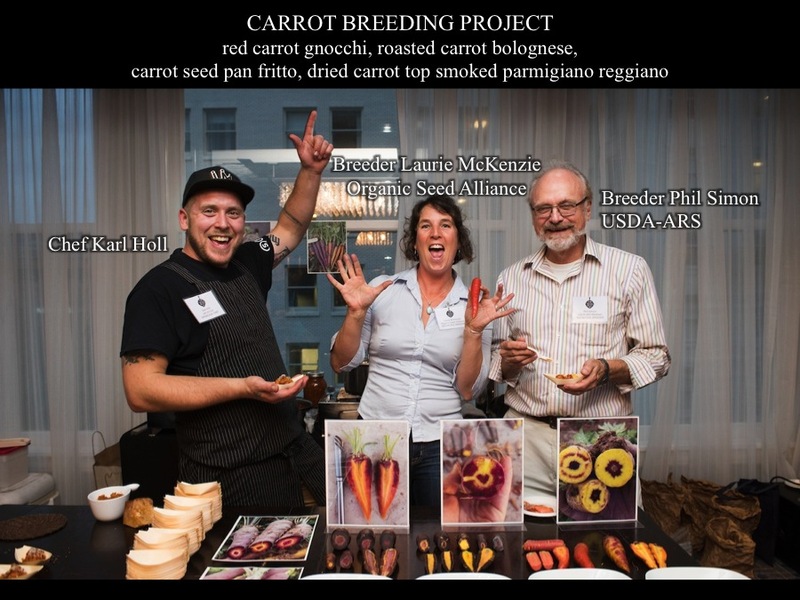 In 2012, the Culinary Breeding Network (CBN) was formed to convene breeders and these stakeholders to discuss and identify traits of culinary excellence for vegetables and grains. The Variety Showcase is an annual CBN event. Its goal is to increase communication in order to develop more relevant and desirable cultivars for all parties. Attendees have the opportunity to taste commercially available cultivars, provide feedback on breeding populations, and exchange ideas and perspectives with breeders. Community partnerships are essential to the success of the CBN and the Variety Showcase. 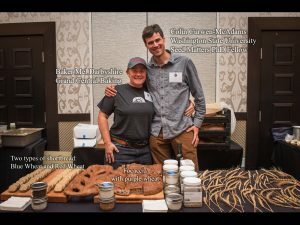 Partners include: Organically Grown Company, Oregon Tilth and The Sage Restaurant Group. Event attendance has more than tripled from 2014 to 2016 and attendees have been exposed to more than 150 commercially available cultivars and 135 breeding lines of vegetables and grains. Seed companies report significant sales increases because of the Variety Showcase events. Creating a venue for the interactive exchange of specific needs has resulted in a greater understanding of what consumers want from breeders. 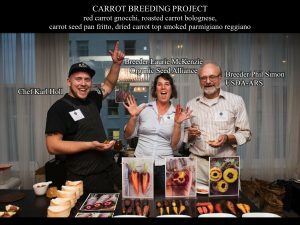 For all other participants, the event creates a greater understanding of the important role breeders play in the food we eat. 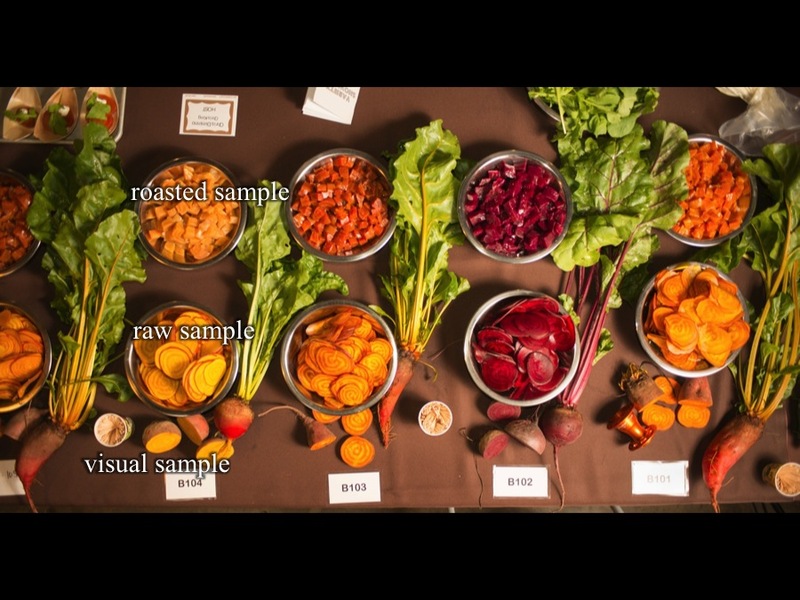 Engaging with chefs and buyers through qualitative sensory evaluations like the Variety Showcase to assess cultivars and breeding lines sets this work apart from standard quantitative sensory panels. 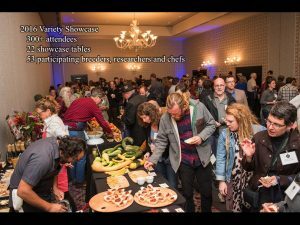 The Culinary Breeding Network Variety Showcase will receive a Vice Provost Award of Excellence Honorary Mention on April 17, 2017.